The companies respectively have registered capitals of 10 million yuan and 18 million yuan. Being an important manufacturer specializing in the development, design and manufacture of conveyor belts in China, the company has obtained 20 national patents in the development of conveyor belts and sidewall belts, having filled multiple gaps in the country and produced a series of patented products with independent intellectual property rights. The company has a domestic first-class modern physical chemistry laboratory and a new product research and development center. It has passed the ISO9001: 2008 Quality Management System certification. 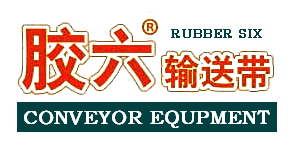 The company mainly produces various types of layered conveyor belts, reinforced metal mesh conveyor belts (patented product), steel cord conveyor belts, steel elevator-bucket conveyor belts (patented product), inclined sidewall conveyor belts (National patented product), wire rope sidewall conveyor belt (patented product), anti-tear steel mesh file edge belt (patented product), heavy sidewall conveyor belts (patented product, sidewall S≤500mm), ball mill rubber liner (patented product) and other special rubber conveyor belt products and shaped rubber products. Upholding the corporate spirit of “Integrity, Harmony, and Innovation” and the tenet of “Quality First and User Supreme”, we have been seeking constant technological innovations, striving to create the No. 1 brand in the industry and promote the company's overall level of technical equipment to the domestic leading position. With reliable quality, high-end technology, reasonable price, and sound services, the company has won the long-term trust of customers at home and abroad. We sincerely look forward to cooperating with you for our common development!